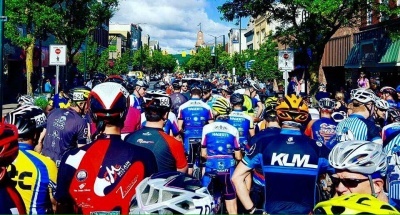 In 2016 Cherry Roubaix became the largest mass start bicycle event in Traverse City's history with nearly 450 participants. Since it's inception in 2007 it has consistently been the largest road race in the State of Michigan. The event is now a Granfondo which means its a cycling experience for everyone. Don't miss out on the fun. Race starts Downtown Traverse City at 10 am, and there are distances for everyone. 86, mile 51 and 20 mile routes. Celebrate clean, healthy water in Grand Traverse Bay with one of the region’s only point-to-point open water swim events on Saturday, August 12, 2017, to benefit The Watershed Center Grand Traverse Bay, a non-profit that works to protect the Bay and its 1,000-square-mile watershed. The second annual 2-mile bay swim begins at Greilickville Harbor Park in Elmwood Township and ends at Volleyball Beach, in beautiful downtown Traverse City. 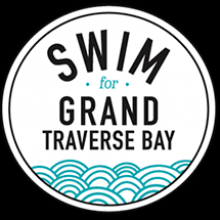 Whether you’re a serious swimmer looking for a timed event, a triathlete wanting to practice in open water, a recreational swimmer setting a personal goal for your swimming or someone who is passionate about water quality and making a difference locally, the Swim for Grand Traverse Bay is an exciting, challenging and fun celebration of clean and healthy water in our region. Join us for the Sixth Annual Dune Dash 4-mile run/walk on Saturday, August 19th. The race course showcases the Sleeping Bear Heritage Trail located in the Sleeping Bear Dunes National Lakeshore. Starting and finishing at the base of the Dune Climb, runners follow the flat, paved Sleeping Bear Heritage Trail past rolling dunes and beautiful forests to the turn around point at historic Glen Haven. Don't miss your chance to experience one of the most beautiful scenic runs in Michigan. 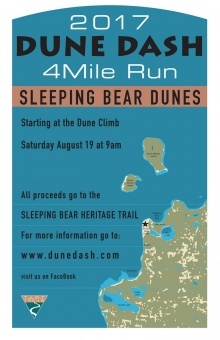 All proceeds from this event will go to the continued construction and maintenance of Sleeping Bear Heritage Trail. The point to point Vineyard to Bay Run provides a course that starts at a vineyard, has beautiful views along the way, and ends near the beach. Runners experience the Wine Trail of the Leelanau Peninsula as they pass six vineyards. The gently rolling terrain of the scenic Leelanau Trail and magnificent views of Grand Traverse Bay will make this journey memorable. 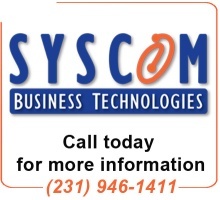 Proceeds benefit Suttons Bay Public Schools and TART Trails. Run or walk in this fun event to celebrate survivors as well as remember those who fought prostate cancer during Prostate Cancer Awareness Month. Proceeds benefit the Us TOO Foundation, a nonprofit established in 1990 that serves as a resource of volunteers with peer-to-peer support and educational materials to help men and their families/caregivers make informed decisions about prostate cancer detection, treatment options and related side effects. The flat course is perfect for those who are serious competitors, families or walkers. 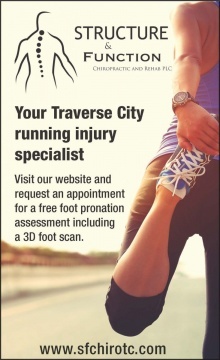 There will be one 5K route (equivalent to 3.1 miles) around Downtown Traverse City. Start and finish at The Filling Station. Bring out your dead for the ninth annual Traverse City Zombie Run, October 28th, 2017. Over the years we have seen zombies from all walks of life, or should I say death. Who will show up this year? The only thing we never saw was someone not having a good time! Right Brain Brewery will be hosting the run as always. The run wouldn't be the same without our friends at the Brain, get it?